"DISGRACEFUL. Just learned NJ Transit rescheduled their Board meeting for Monday, MLK Day- a Federal holiday when we should be honoring Dr King’s legacy, not rushing an 11th hour secret deal. Sparked by a bus boycott in Montgomery but I don’t think the dream was supposed to end with a ferry depot in Hoboken!" There is no doubt that Ravi Bhalla has publicly spent political capital to stop this proposed purchase by NJ Transit. His predecessor Dawn Zimmer had 8 years to acquire the property but never made it a priority to actually complete the purchase. Ravi Bhalla is left to clean up and try to salvage the legacy of former Mayor Zimmer who some Hoboken residents and politicians blame her for failing to seize the opportunity to secure a contiguous waterfront. Ravi will also be joined at tomorrow's meeting by at least the following City Council members as of the writing of this post: Tiffanie Fisher, Jen Giattino and Ruben Ramos. If ever an issue in Hoboken had a chance of unifying the Hoboken City Council 9-0 it would be this one except for what Ravi did this weekend. 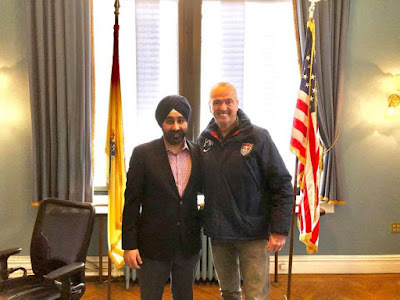 Governor elect Phil Murphy was in Hoboken this weekend to discuss infrastructure but Ravi only invited his two City Council allies Emily Jabbour and Jim Doyle and snubbed the rest of the City Council. For someone who only has a 2-7 City Council and only won 33% percent of the vote he is not behaving like a uniter. Thankfully this very important issue and will unite Hoboken in the short term in spite of Ravi's scorched earth tactics. Murphy, a Democrat who is due to be sworn in Tuesday to succeed Republican Gov. Chris Christie, issued a statement blasting the proposed purchase as "irresponsible" in light of the transit agency's struggling finances, and insensitive to Hoboken residents and officials who want the property for a new Hudson River park and the last link in the city's waterfront walkway. "This deal, being rushed through on the last day of the Christie administration -- and on a federal holiday, no less -- is emblematic of everything the public has come to loathe about NJ Transit and another reason why it needs a complete overhaul," Murphy said in a statement Friday. "Giving away millions of dollars on the way out the door, when the current system isn't even adequately funded, is simply irresponsible," Murphy added. "Out of fairness to the taxpaying public, this vote must be postponed and NJTransit's board must follow a more thoughtful approach that listens to all voices, including those of local residents and elected officials." But Hoboken residents should not get ahead of themselves. 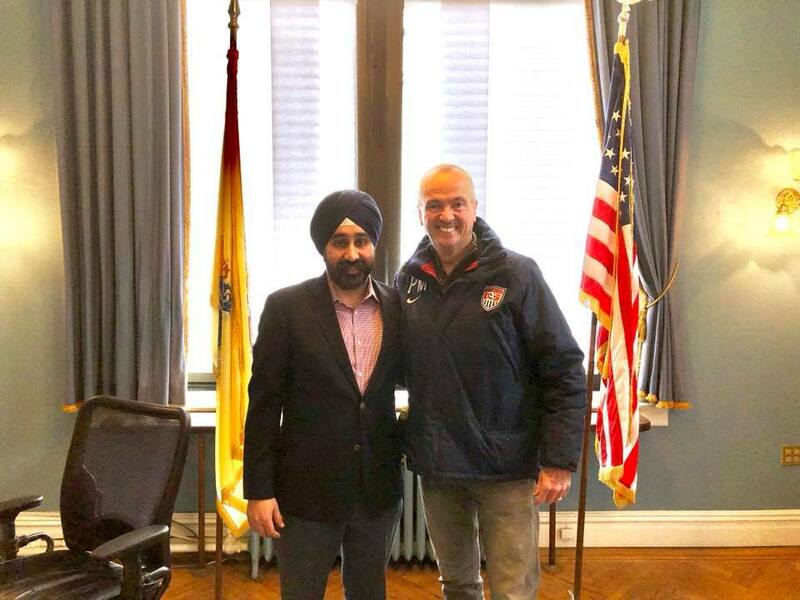 If you notice, Phil Murphy is not condemning the purchase, just urging it slowed down until he can get in to office. No one is 100% sure what the NJ Transit Board will do tomorrow morning. Governor Phil Murphy has advocated for a major overhaul of NJ Transit leadership demanding many is top posts to resign. It is unclear how that will effect votes.